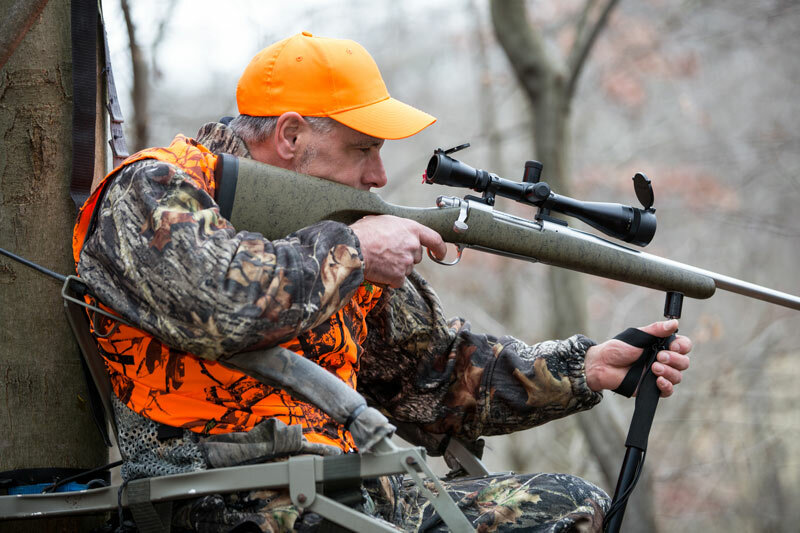 Levellok has revolutionized and changed how hunters will utilize hunting monopods, bipods and tripods in the future. 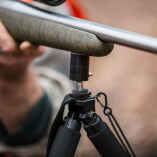 This attachment connects to any shooting stick that has a 1/4-20 thread. 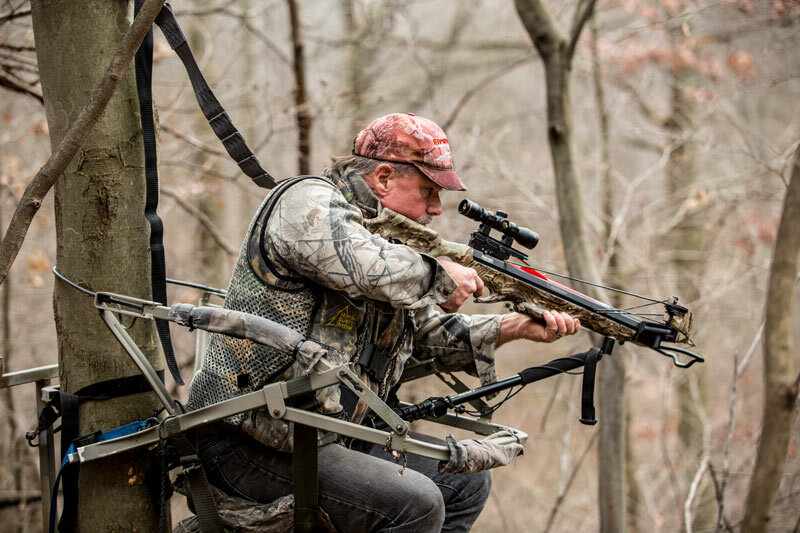 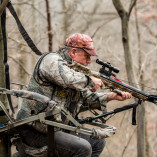 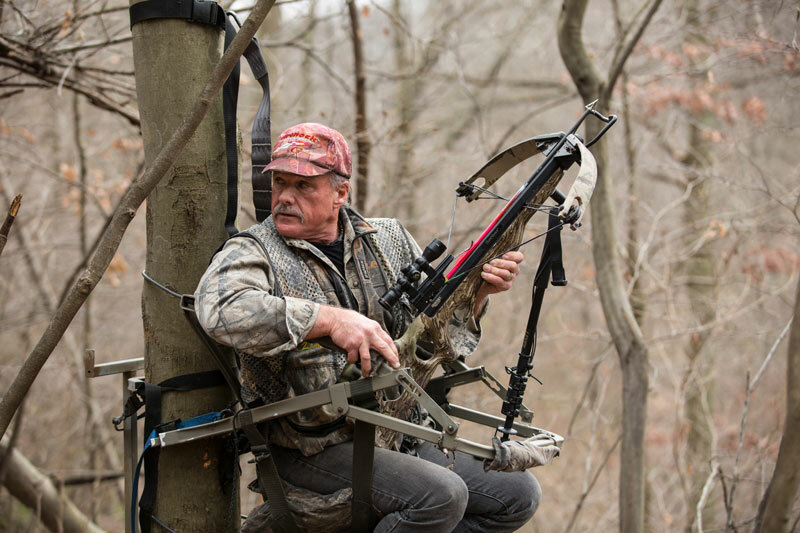 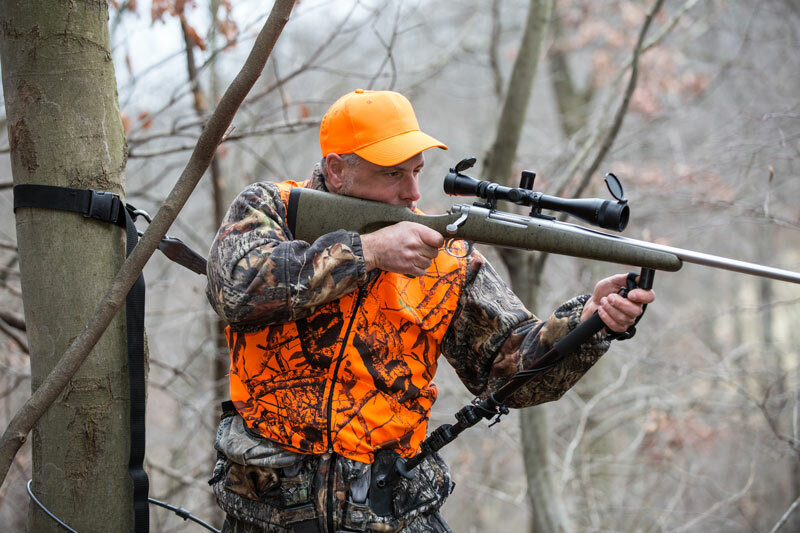 It allows the hunter to achieve a full range of motion and maneuverability at any angle , while maintaining a solid and steady rest. 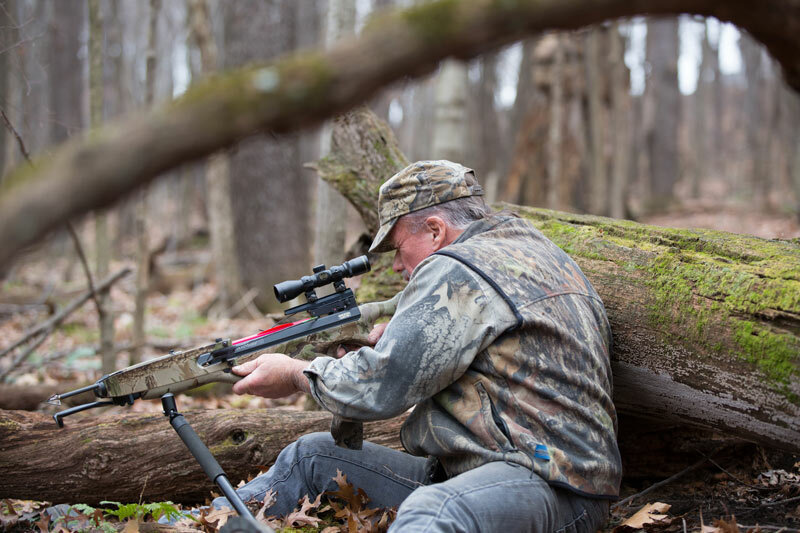 This Is the perfect shooting rest attachment for deer hunters, predator hunters and more. 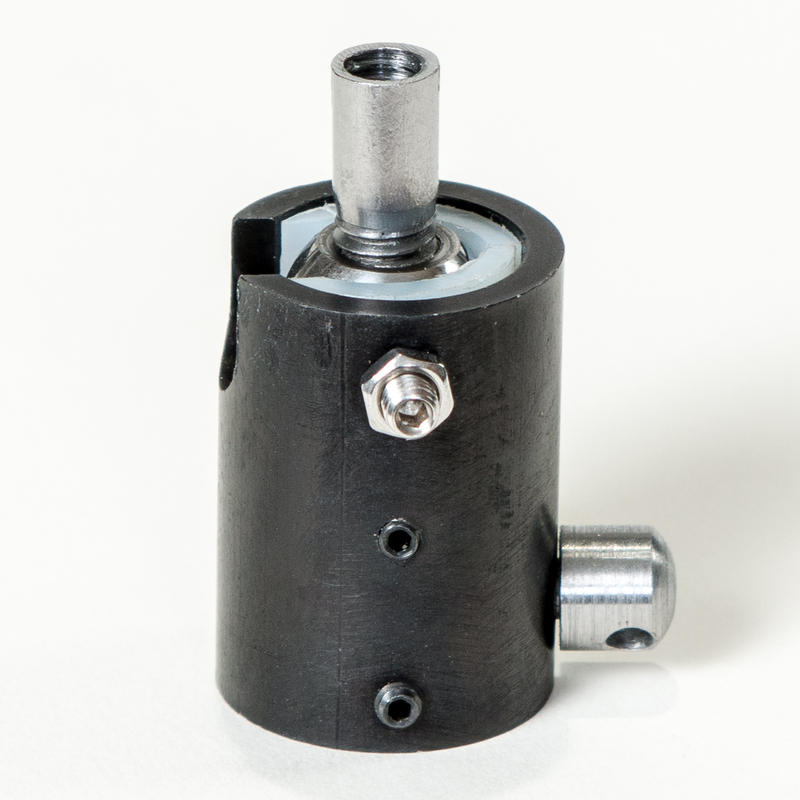 Introducing the newest item sold by Levellok. 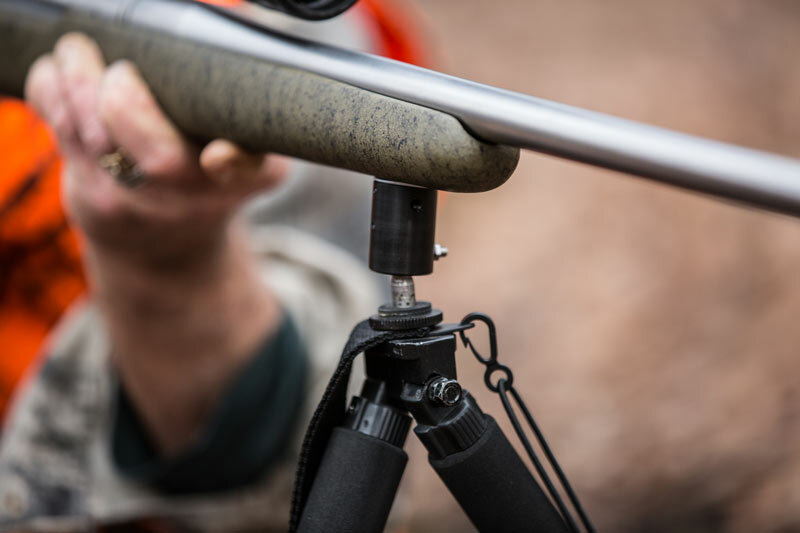 Levellok’s New Universal Shooting Rest Attachment is changing the way you will utilize monopods, bipods and tripods while hunting in the future. 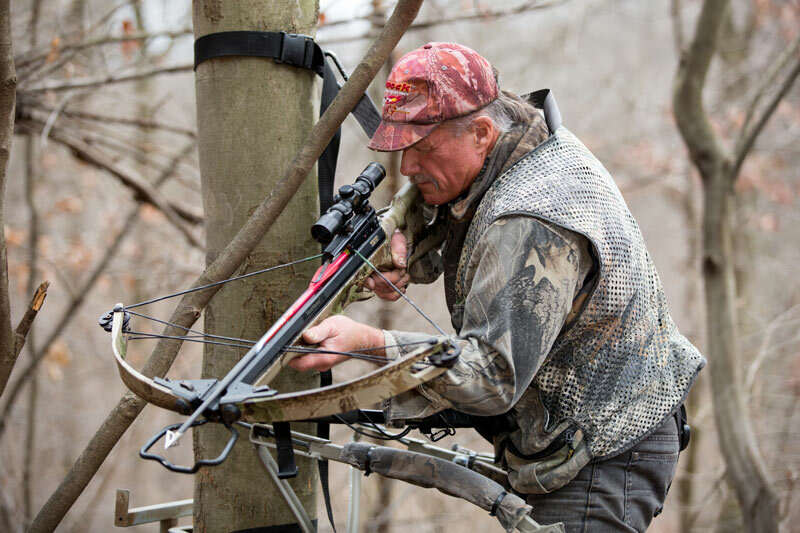 The biggest benefit is the attachment’s pivoting action delivering a full range of motion and maneuverability at any angle , while maintaining a solid and steady rest. 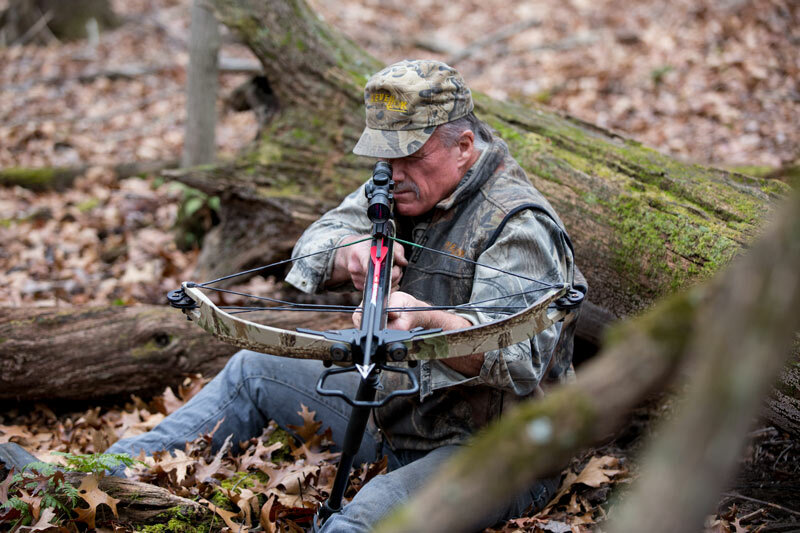 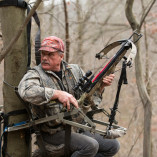 When attached to a Levellok monopod while using Levelok’s rubber base plate or the hip holster you have a steady rest from the time you enter the woods until you come out. 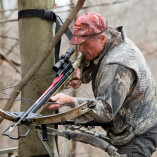 It is effective while walking, kneeling, sitting and especially in the treestand. 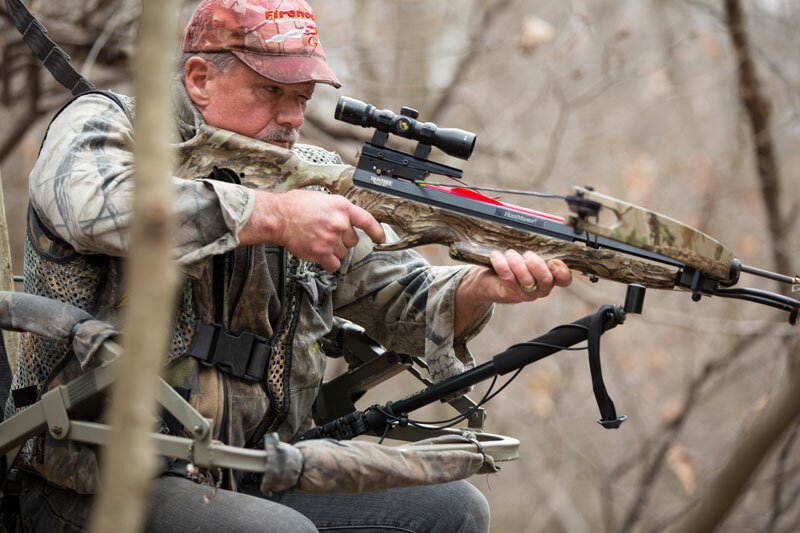 You can now steadily and quietly follow your target at any angle without worrying about having to move the shooting stick or your body. 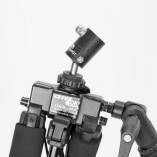 The attachment allows the monopod to be securely folded up against the stock when not in use. 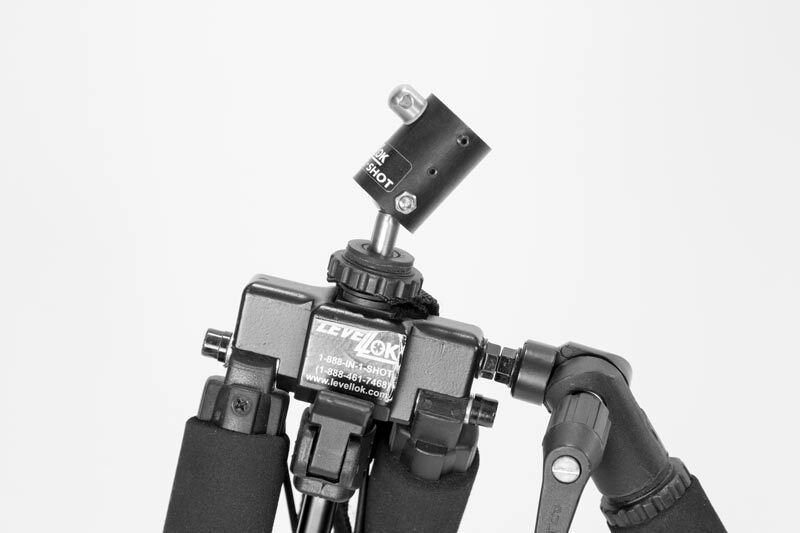 The Attachment was designed and developed to work with the Heavy Duty but lightweight Levellok monopods, bipods and tripods but will work with any shooting stick that has ¼ 20 thread. 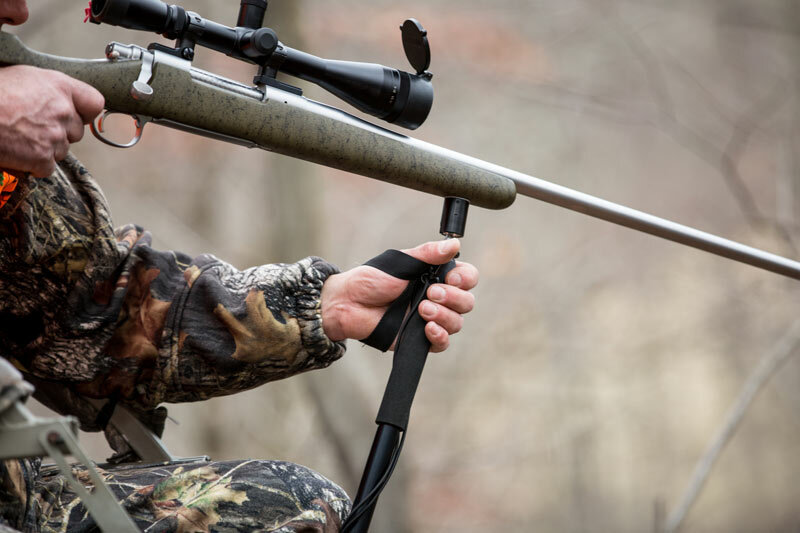 The attachment quickly attaches to your gun or crossbow using the existing sling stud. 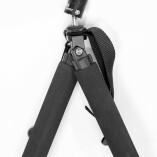 The attachment has another sling stud for you to reattach your sling. 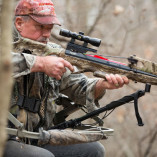 Take your gun or crossbow hunting to the next level with a Levellok Universal Shooting Rest Attachment. 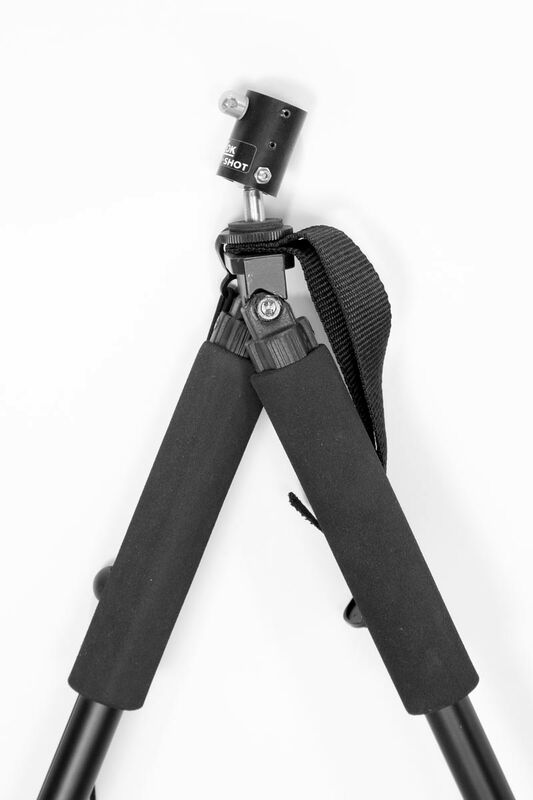 Easily attaches a monopod, bipod or tripod on a crossbow or rifle. 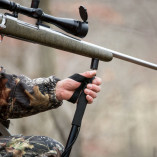 Attaches directly to the existing sling stud on either a crossbow or a rifle in minutes. 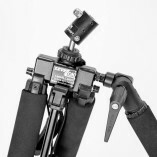 Allows for a full range of swivel motion to give you that steady shot at any angle. 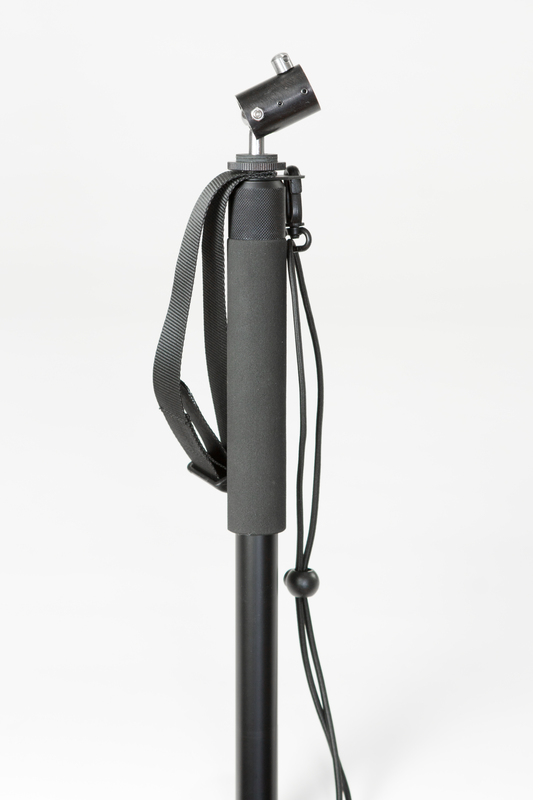 Weatherproof aluminum black anodized body, polypropylene seats and stainless steel ball. 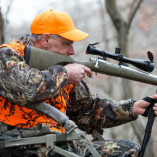 For use on all shooting rests utilizing the industry standard ¼ – 20 threads. 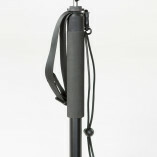 Equipped with a standard sling stud for existing sling attachment. 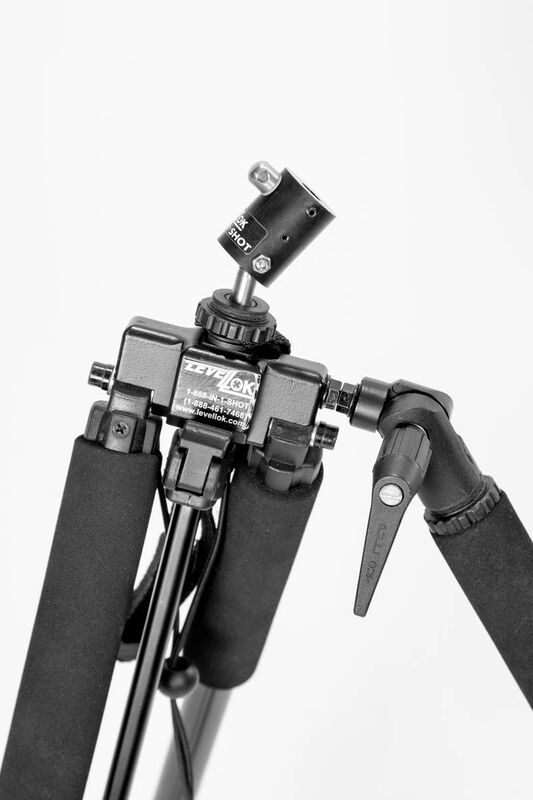 Easily adjustable tension in minutes, set it once and you’re done. Light weight at 2 ounces.